Jon Lipsky loved to write, listen, think, ride waves, dream, and live life fully. He dreamed in vivid detail and pursued the study of dreams all through his life. He loved to tell stories, which he explored professionally as a writer through journalism and playwriting. He lived a long life of 66 years and died in his home on Martha’s Vineyard surrounded by people who loved him. Jon believed in people being who they truly are. As a parent, he always advocated for his sons to follow their intuitions about what to study and pursue. As a friend, he would relate to people on a deep level, and he wanted people to be real with him too. He loved to talk about relationships and emotions, and he would happily “go there” to talk about almost any subject that you would want to talk about. He enjoyed talking in an emotionally real and open fashion with his friends. It was his opinion that simply being you was one of the most important things you could do. This found its way into how he parented my brother and I, and also into how he taught his students. I think it is, to a great extent, how he lived his life. His epitaph says one word: “Dream.” This has several meanings, I think. Jon paid close attention to his dreams, developing a passion for them that changed his life. He appreciated their potential for insight and inspiration. However, the epitaph is also a call to approach living life in a certain way. In his book, Dreaming Together: Explore Your Dreams by Acting Them Out (Larson Publications, 2008), Jon writes about how one can live life as a dream. We can train ourselves to see the world as more dream-like, he asserts. We can live waking dreams. Since dreams have limitless possibilities—indeed, they hold emotional weight and imaginative potential as “wide and deep as the Shakespearean stage,” he writes—to approach life as a waking dream creates the potential to experience life in as full a way as possible. And then, of course, “Dream” can be understood as a suggestion to know what you most want to do in life and go for it. Choosing to become a writer, Jon followed in the footsteps of his father and grandfather. However, on top of being a talented writer, a trait that forefathers had shared, he also had a keen sense of emotions evidenced in his intuitive understanding of theater. Once, when asked about how he put the work of the theater “into his body,” he said that he had begun the process by writing theatrical reviews for the newspaper. By watching great actors performing their craft, he said, he began to internalize an understanding of the emotional work of theater. Jon was born April 12, 1944. He grew up on the Upper West Side of Manhattan with his two brothers, David and Michael, and his parents Hannah and Eleazar. His brother David was four years younger, and Michael was four years older. Growing up, Jon spent most of his time hanging out with Michael and his older friends, but also made room to be present as an older brother for David. “He was very good to me, so I would try to hang out with his friends. And he never made it seem like it was an issue,” said David in an interview at the Fire Island house where Jon’s family spent each summer while they were growing up. Fire Island was where Jon learned to ride waves and to play volleyball, two activities that he cherished all his life. Some of his other most cherished activities included Aikido, a Japanese martial art form, and playing the Banjo. Jon, Michael and David all attended the Bronx High School of Science, one of the most competitive schools in New York City at the time. Michael attended Oberlin College and Jon followed suit four years later, even becoming the editor of the school newspaper there—a position Michael had held. Jon also edited the Fire Island Sun during the summer of 1964. He graduated in 1965 with a BA in English and immediately went into the Iowa Writers’ Workshop where he studied fiction, poetry and playwriting. In 1965, he and Jeanne Baker, whom he had been in a relationship with since their senior year of high school, got married. In 1967, after they both earned Master’s degrees at Iowa, (Jon in writing, Jeanne in psychology), they enrolled in the Peace Corps together. They were assigned to Munger district in Bihar State, India. Jon had to leave India before his time with the Peace Corps was up; in his third year, he came down with a life-threatening case of amoebic hepatitis. He returned to the states after a harrowing few weeks in a hospital in India. 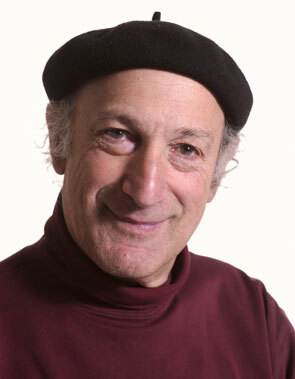 Returning to Cambridge, Massachusetts in 1970, Jon began working as a journalist with Boston After Dark, a paper that Arnie Reisman, who was to become a lifelong friend, edited at the time. His application to work at the paper did not follow traditional journalistic patterns, Arnie later recalled. When he came into the office to apply for a job, he arrived with a story about a Tea Leaf Reader and one about a Palm Reader. These were not the types of stories that the newspaper usually printed, but, for Arnie, the idea of traditional forms quickly gave way to the intrigue of the stories. “We knew we were going to publish them because they were so well written,” he said in an interview a little more then a year after Jon’s death. During Jon’s time on staff at Boston After Dark, he held a title that he relished. Below the other staff titles: the editor, managing editor, publisher, staff writers, it listed, “Jon Lipsky—Background Noise.” He wrote feature articles about things that were not necessarily news-worthy, but were inherently interesting. Fittingly, the paper later printed journals that Jon kept during his time in India. In 1973, Jon and Jeanne divorced, though they maintained their friendship for the rest of Jon’s life. By this time, Jon had written several full-length plays, one in graduate school and several while working as a journalist. One of the first plays he wrote was in collaboration with Arnie, titled The Second Greatest Crime of the Century. The comedy centered on the shooting of President Garfield and the trial of his murderer. Arnie recalled about the process of writing the play: “We sat down and did all the research—Jon was a research nut—and we found out that there was a 3000 page trial transcript that Harvard owned. And they kept it on an island—a rare book tower—in Boston harbor. We got the book, and we sat there day in and day out in the Harvard library going through the pages of the trial transcript. And we both looked at each other, and we said, ‘This is a comedy. This is a farce. They had no understanding in 1881 of what insanity was.’” This was one of Jon’s early playwriting collaborations. He repeated this process of creating plays in dialogue with other artists (musicians, writers, actors and directors) many times throughout his career. During the years that Jon was in residence at Reality Theater, he produced one of his most celebrated plays. Living In Exile: a Retelling of the Iliad, received its premiere production in 1982. Jon revised the play during the course of his life and put the final touches on the script in January 2011 for a production with the Actors’ Shakespeare Project in Boston. That production opened on the day Jon died. The seed of Living In Exile was planted when a friend had made the observation, so central to the message of Living In Exile, that the Iliad is not actually about the Trojan War per se. Rather, it is about the rage of Achilles and how Achilles’ rage turns to compassion at the end. Jon thought it significant that one of the earliest recorded stories in human history resolves in compassion. In 1982, Jon started working for Boston University School of Fine Arts (now called the College of Fine Arts) teaching freshman acting in their conservatory program. He continued to teach freshmen for 25 years while creating several other classes in playwriting, devising, acting, and making dream-based theater. It was at B.U. that Jon honed his Dream Theater technique. Even from his first year at B.U., Jon had his students on their feet acting out their dreams. He found it to be an electrifying and effective way of getting students to engage their bodies, voices and imaginations in the art of acting. In the summer of 1982, just before starting his first semester at B.U., he met Karen Kanta Shigley, his wife-to-be. She moved to Cambridge to join him that fall. In 1984, they married, and in 1987 Adam was born. After I was born in 1989, the family moved to a house in Arlington to accommodate the larger family. When we moved to Martha’s Vineyard in 1996, Jon kept his job and used his time commuting on the bus to Boston to write e-mails, poems, or to work on his plays. He also managed to keep in close contact with the Boston theater community where he had begun his theatrical career. Martha’s Vineyard proved to be an artistically rich location for him primarily due to his involvement with the Martha’s Vineyard Playhouse where many of his plays premiered or had a performance, and also where he directed plays. Jon traveled to work at B.U. until months before his death, when his illness became too debilitating for him to make the commute. Jon wrote many plays during his career. In addition to the plays in this collection, he wrote: The (In)Complete Works of Sappho, The Molly Maguires, They All Want to Play Hamlet, The Survivor: A Cambodian Odyssey, Humboldt County U.S.A., and Master of Ecstasy. Music was a key element in many of Jon’s works. Jon had a long collaboration with his friend Stephen Cummings who composed music for many plays that Jon wrote, including the original score for Living In Exile, which Bill Barclay later amended in close collaboration with Jon after Stephen’s death. During his career, Jon also wrote more than 20 short plays for the Boston Museum of Science. These science plays ranged in topic from the genius of Tesla, to the creation of the Ferris wheel, to the origin of the concept of the boogeyman. He also wrote theatrical pieces for the Boston History Collaborative, including a scripted tour of the Boston Harbor. During his years living on Martha’s Vineyard, Jon traveled throughout the world leading workshops on his Dream Theater technique at different healing centers, in dream groups, and in theater programs. When Jon realized that he had an incurable cancer, he began to walk a path that he felt nobody could understand unless they were walking that path too. He called it the “Living Bardo,” a reference to the Tibetan Buddhist concept of the Bardo, which is the path that spirits walk after they die. For Jon, when he knew he was on the path to his death, he was walking the Bardo in his own life. Just like his concept of a Waking Dream, he was walking the path of the Waking Bardo. Everyone around him noticed that he was walking his own path, and that all we could do was support him through it. At the end of his life, Jon had a wonderful and generous community surrounding him. In the final months, friends took turns bringing food to the house and giving other forms of support to Jon and his family. The person who accompanied him most closely was his wife, Kanta. In the years leading up to the 19th of March, 2011, when Jon died on the “super moon” of that year, a transformation of spirit seemed to take place within him. His body was wasting away, and yet he was working hard. He spent over a year organizing all of his things that he had saved over the years in his office at B.U. He let people know that he cared about them. He read the Talmud—something that, over the years, he had said he would do at the end of his life. In the final few months, he began meditating daily with a friend who would come over. Jon saw to it that his Dream Theater technique would be carried on by one of his students, Kira Lallas. Jon asked Arnie Reisman to ensure that his plays be preserved, and he put final revisions on some of them, including Walking the Volcano, Living in Exile, and Call of the Wild. He also kept a dream journal of all the dreams that he was having, as had been his practice for years. I appreciate the opportunity to facilitate the availability of these plays for his friends, family, students, theater lovers, and artists who might seek to produce one of Jon’s plays. Although this biographical sketch of Jon’s life is not exhaustive by any means (for which I apologize to those who are eager to know more details about his life), in the two-volume collection of plays, The Plays of Jon Lipsky (Smith & Kraus Publishers Inc., 2015), the general introductions, the additional essays and each foreword to the plays, has more biographical information that will expand your understanding of who Jon was as a person.